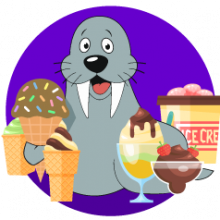 We Love Walrus Ice Cream! Darth Walrus – Good Day Colorado. 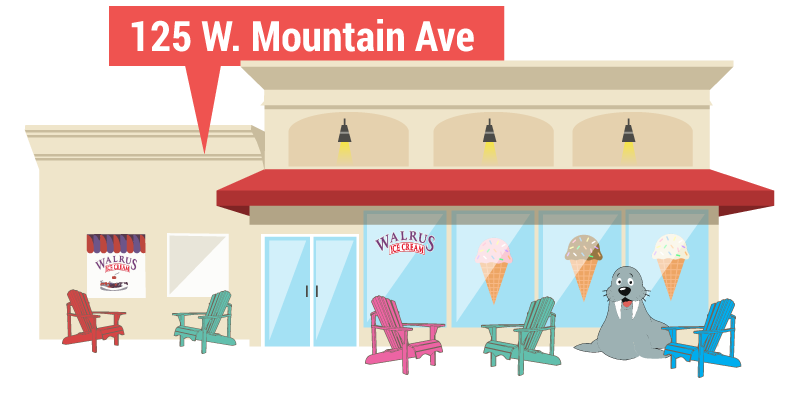 Since 1987, we have been creating premium ice cream and delectable treats by hand, right in our locally owned store on Mountain Avenue in Fort Collins. 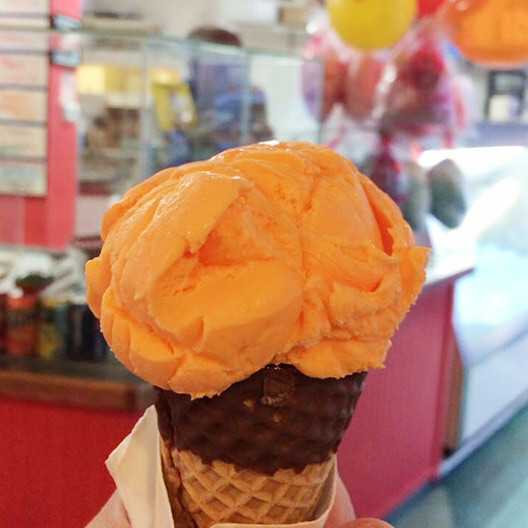 We have 29 ever-changing flavor choices daily — you can sample one or all 29. Customer service comes first to us, so let us help you experience the wonder of Fort Collins. 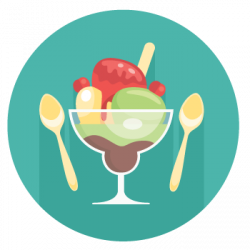 We use only the finest, all-natural ingredients in our ice cream recipe, which is a premium mix without eggs or gluten. Want something on the lighter side? 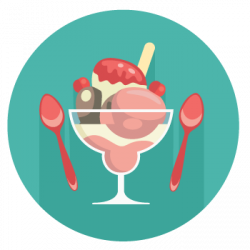 We also serve sherbet, sorbet (dairy free option), and low-fat frozen yogurt. Yum! 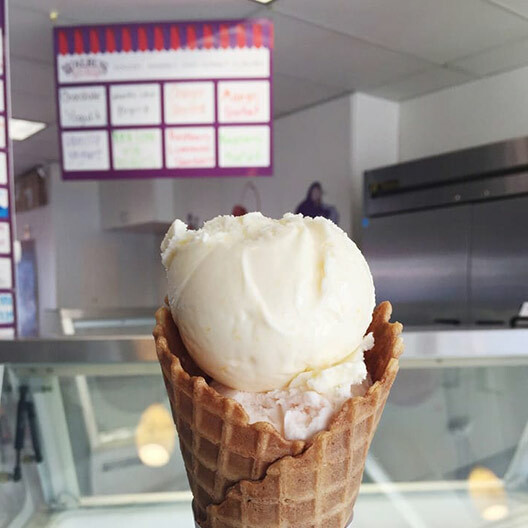 Whether you want a single, double or triple (we can keep going if you want), we serve it up in a variety of cups and cones. Choose from plain cones, gluten free cones or hand-dipped dark chocolate or white chocolate cones. To add extra fun to your ice cream, try one rolled in rainbow sprinkles. 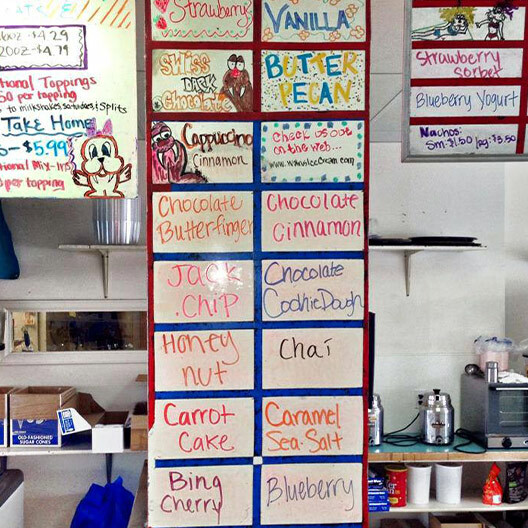 We have an enormous number of mix-ins and toppings so you can choose one of our creations or create your own. If you’re feeling brave, give our joke flavor a try! 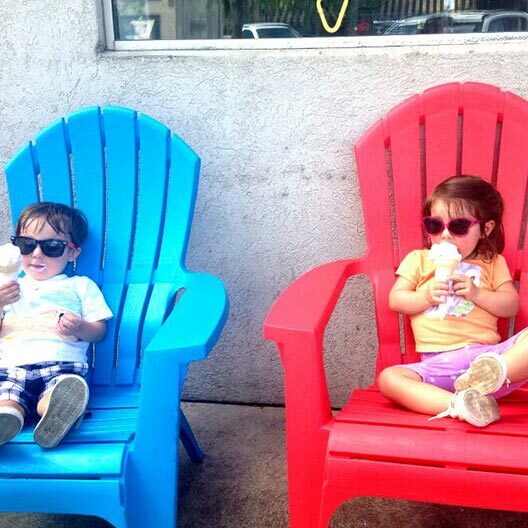 Our all-natural ice cream is made from Milk, Cream, Pure Cane Sugar, Guar Gum, Locust Bean Gum and Carrageenan. Subscribe to Get Your Favorite Flavors! Got an idea for a flavor we don’t make? Tell us! We’ll see what we can do. 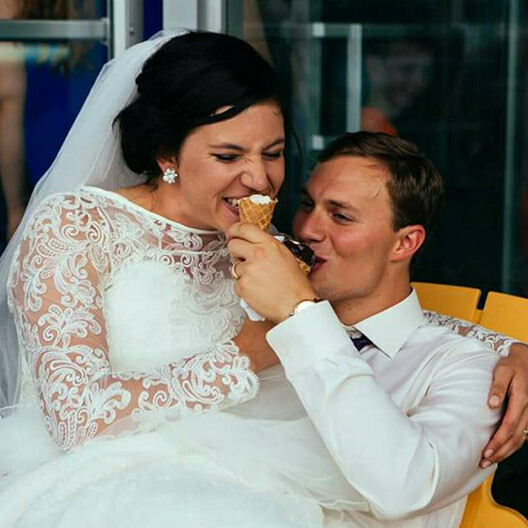 Is your day calling for something a little more than an ice cream cone? 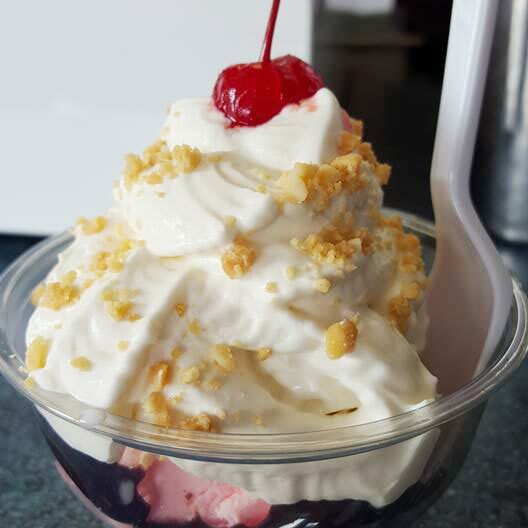 Try a Saturdae (wayyy better than your typical Sundae), Banana Split, milkshake, malt, or float made with Coopersmith’s (brewed for us) root beer. And why have your ice cream on a plain ole cone when you can have it on a hot, fresh crepe? Served seasonally. If you’re one of those people who loves hot drinks, you’ll love a Wally. Your choice of ice cream served in a 12 oz cup of hot chocolate or coffee, it’s oh-so-wonderful. Special celebration coming up? Relax! Let us bring the dessert or you can put a cherry on top and order an ice cream cake! Sunday is Scoop Doggie Dog Day! 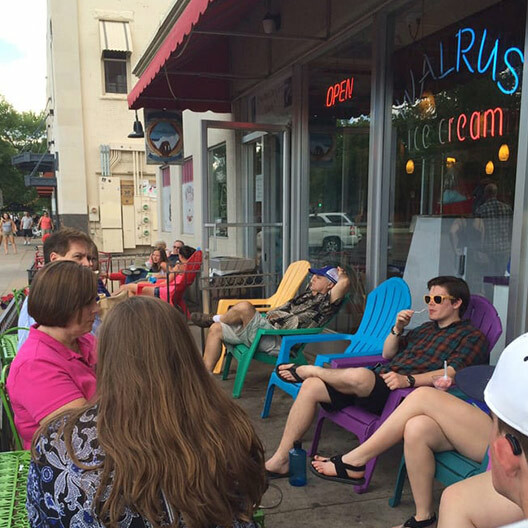 While supplies last, bring your pup for a FREE Doggie Scoop and let him enjoy it on the patio! 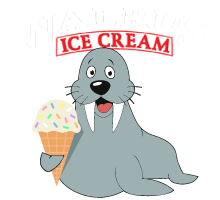 Not only should everyone make it a point to go to Walrus when they're in Fort Collins, but people should make it a point to come to Fort Collins so they can go to Walrus. 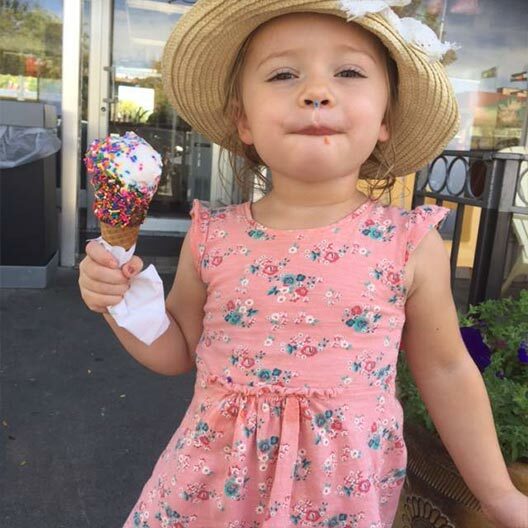 The ice cream was fantastic. I had the Cappuccino Chip and it was heavenly. My girlfriend and I also tried the classic root beer float which was well done, and we were offered a free refill! 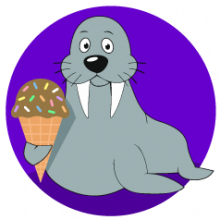 How can you say anything bad about Walrus! 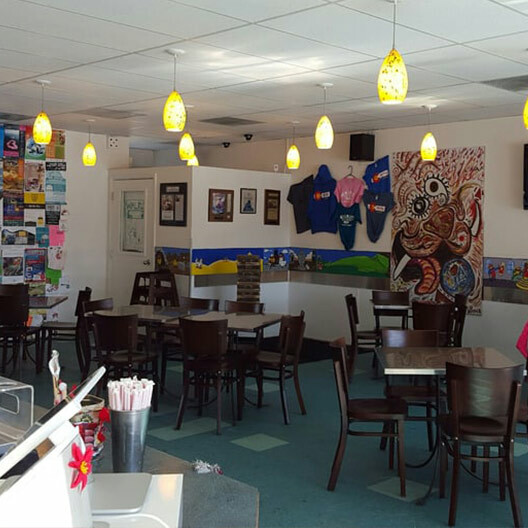 This place is awesome, hands down the best local ice cream shop in town. I have never had anything but great service and I have never been disappointed with the ice cream! 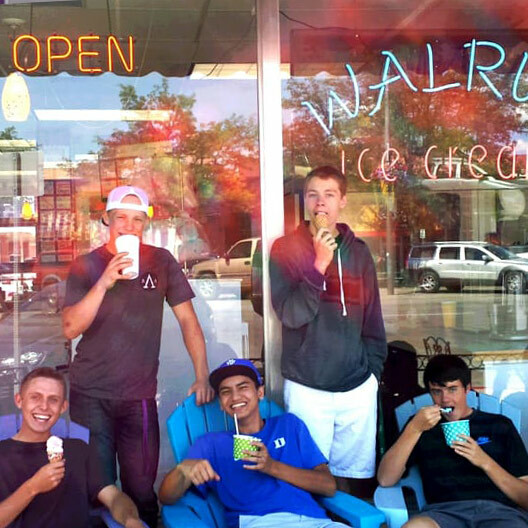 The Walrus is a Fort Collins institution, and for good reason ... they serve the best ice cream in town.